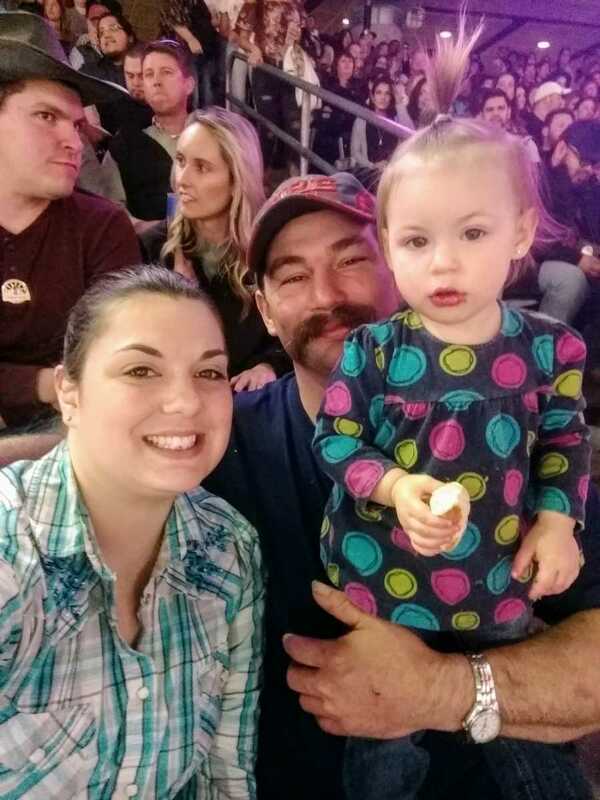 “Tonight as we were sitting in our seats waiting for the rodeo to start, I noticed an elderly lady, her grown daughter, and two young granddaughters trying to come down the stairs. The elderly lady was having a rough time (she was shaking, and having trouble getting her feet to move from step to step). I pointed them out to Thomas and said they may need help. He didn’t even hesitate! He jumped up and asked the ladies for permission to help them. 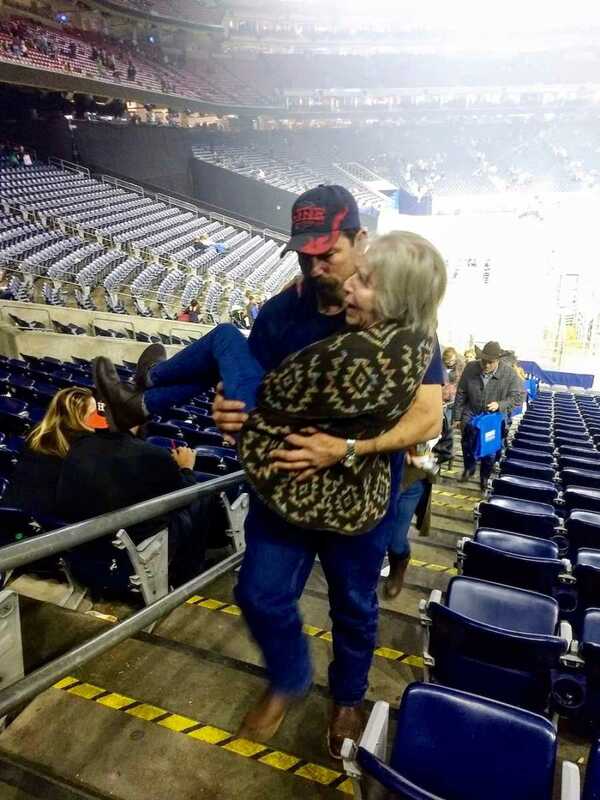 Not only did he help get her to her seat, but she did not have the strength to come back up the stairs. 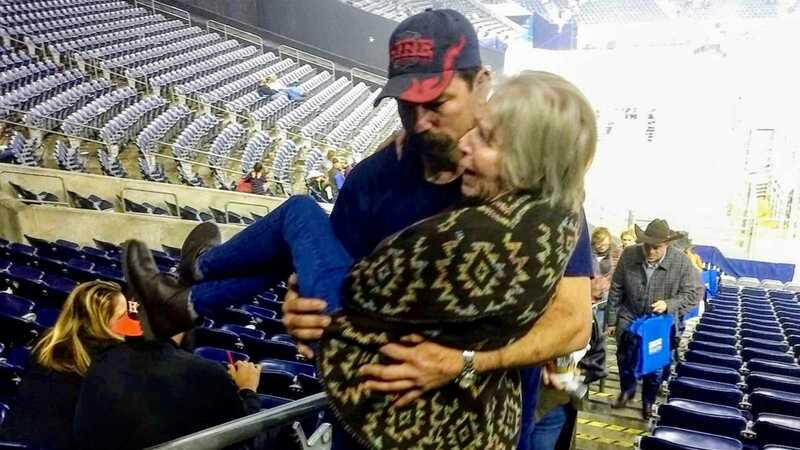 So, he carried her! We were at Rodeo Houston in Houston, Tx and Brad Paisley was the rodeo artist of the night. Kindness should be a way of life! We did not help her for recognition, we did it because it was the right thing to do. Our 2-year-old daughter watched her daddy do this and hopefully we can instill this kindness into her. This story was submitted to Love What Matters by Shayla Harwell of Hardin, Texas. Submit your own story here, and subscribe to our best stories in our free newsletter here.